We're makers of cast bronze hardware. Solid bronze is what Blacksand Bronze is all about. We specialise in producing a soft cast texture which we finish with a light patina. We do everything from design through to finished product so we can work with you when custom designs are required. For projects we can work from your plans and schedule the hardware, our lead time is approximately 2 - 4 weeks. Matthew von Sturmer began his creative working life as a contemporary jeweller, his objects grew in scale from jewellery to civic street furniture. He now concentrates on the designing and making bronze hardware. When he's not making handles he is out on the water either surfing or flyfishing. Carmen Sosich has a creative background, working in art galleries, the film industry and interior design. For the last 20 years she has joined forces with Matthew where they have fitted out many homes, and commercial spaces with their own designs. Director, designer and go to boss lady. We take design seriously. Our designs are a result of respecting function and the process of making. We have stripped away processes that aren't necessary or authentic, focusing on creating a natural long lasting finish. Our hardware has a tactile, authentic feel and sits in its environment purposefully. Being designers and makers of our work means working on custom components is possible and jobs can be seen through from beginning to end. Bronze is an inherently beautiful material. It casts well, is recyclable, strong, durable and timeless. Bronze is Antimicrobial - kills bacteria - making it an easy decision to cast our handles in. 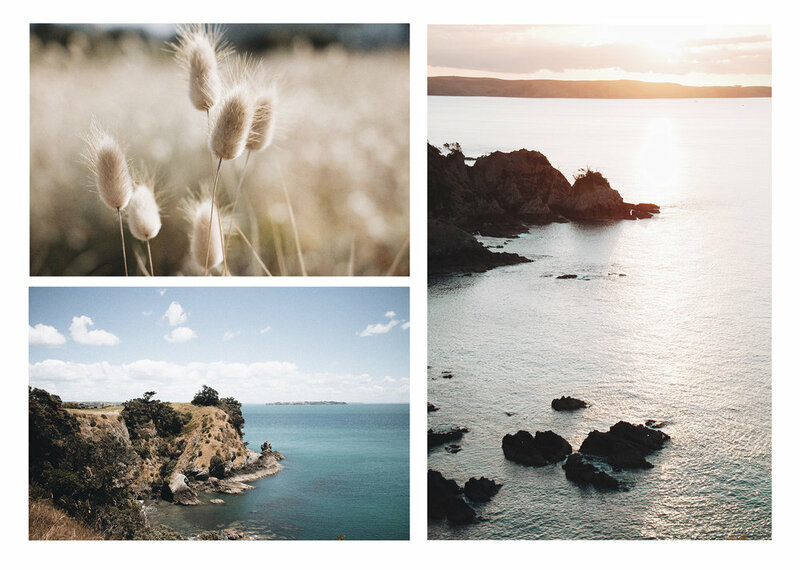 The harsh lines of the landscape, patterns in the sand, currents in the water and textures of Waiheke inspire all of our work. We are lucky enough to live and work on Waiheke Island, New Zealand, where we will design and manurfacture your handles to order. We will keep you up to date with new products, process and designs.